Jackie Shroff to play main villain in Vijay's Thalapathy 63? Kolaiyuthir Kaalam (aka) KolaiyuthirKalam is a Tamil movie with production by Ysr Films, direction by Chakri Toleti. 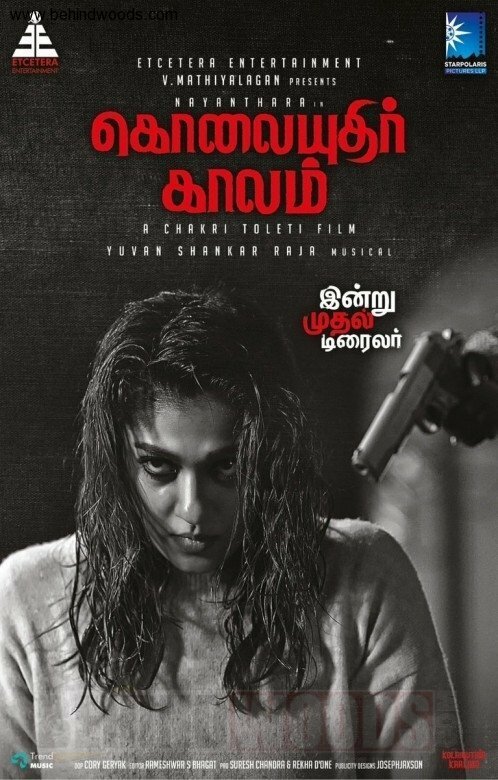 The cast of Kolaiyuthir Kaalam (aka) KolaiyuthirKalam includes Nayanthara.